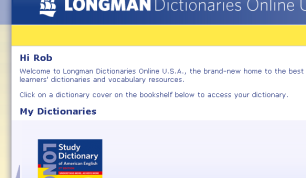 Welcome to Longman Dictionaries Online U.S.A.
Longman Dictionaries online is a premier dictionary site that allows you to access the best of Longman Learners' dictionaries, whatever you do, wherever you are. 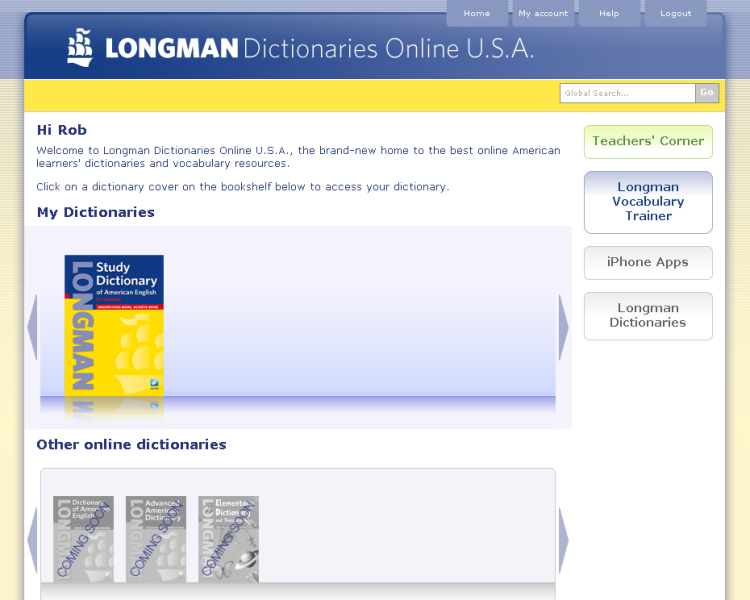 Longman Dictionaries online offers a library of online American dictionaries for all levels. 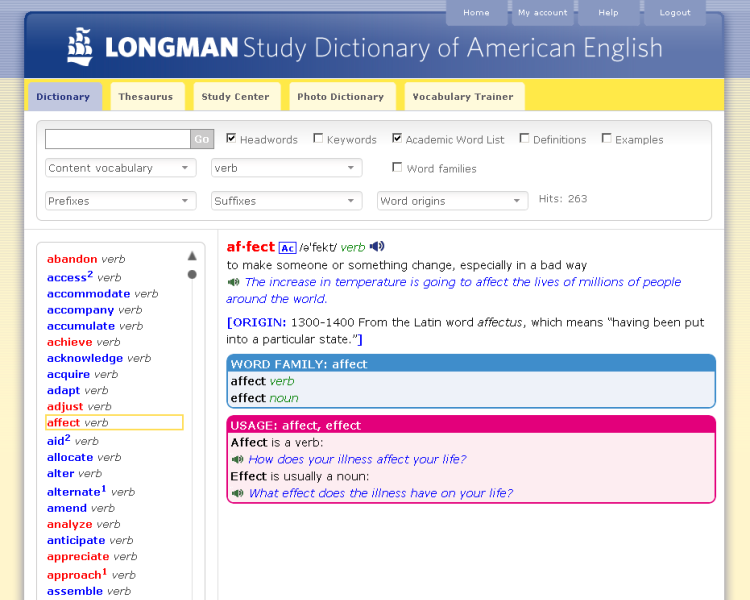 Longman Dictionaries online offers a wealth of other resources for teachers and students in the Teacher's Corner, the Study Center and personalized practice with the unique Longman Vocabulary Trainer. Once you have registered and logged on using your unique PIN code, click on a cover on your bookshelf to access your dictionary – a fast and easy way to navigate the best online learner dictionaries. 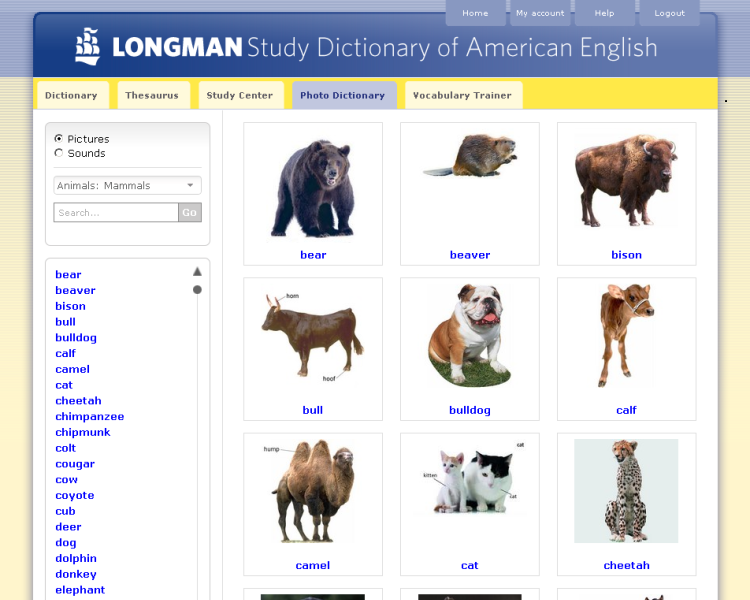 Longman Dictionaries online offers a wealth of resources for teachers in the Teacher's Corner with free worksheets with Lessons and Activities to teach dictionary skills effectively in the classroom. 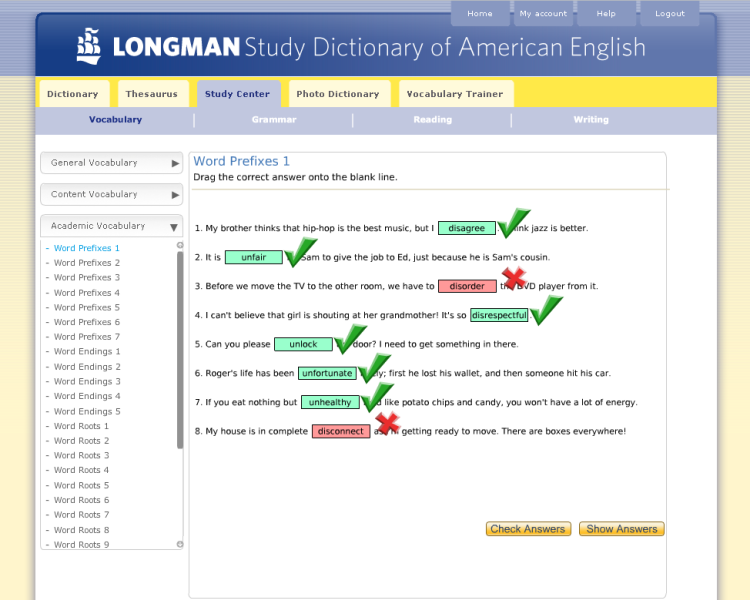 It also gives students personalized practice with the unique Longman Vocabulary Trainer. The new Longman Study Dictionary of American English is now available online, giving you fast and easy access to the complete print dictionary. 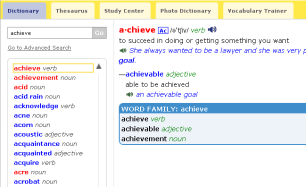 It includes words from the Academic Wordlist; content words, including vocabulary for Science, Social Studies and English Language Arts; and Word Family boxes that help students learn words from the same family – such as achieve, achievable, achievement. A special search function allows you to customize your dictionary to find lists of words that relate to what you want to learn or teach. 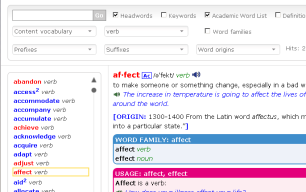 For example you can find all the words from the Academic Word List, or even just the verbs from that list. You can also search for all the key words, all the content words, which you can also find by content area, and you can look up all the words that have Word Origin information or Word Families. 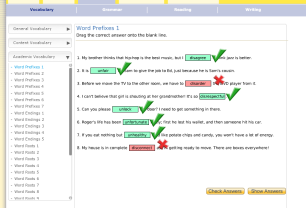 The Thesaurus offers real support for students who want to expand their vocabulary and improve their writing. There are thousands of synonyms and antonyms listed, and the thesaurus explains the difference between terms that have similar meanings so that learners can find the most appropriate words for what they want to say. 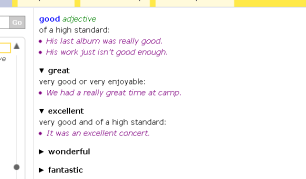 Synonyms are explained in a clear and accessible way with student-friendly example sentences to help learners avoid always using the same basic words such as good, bad, happy, nice, etc. The Photo Dictionary helps learners understand the meaning of words. 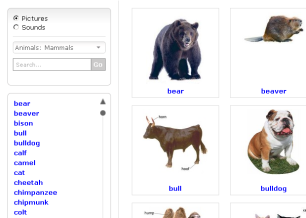 It also allows students to learn words more quickly by topic, for example Sports, Animals, Plants and Opposites. Extensive vocabulary means fluency in reading comprehension, which in turn strongly relates to overall academic success. The Study Center offers practice for Vocabulary, Grammar, Reading, Writing, and Pronunciation and Spelling. Users can check that they really know the key words that will help them become more proficient in their academic studies. Register now if you have a PIN or voucher code. 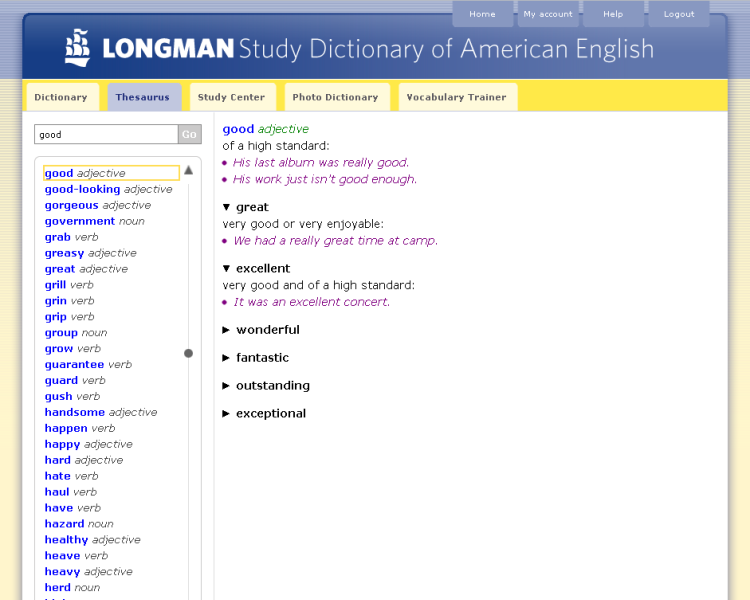 Register today and try the full Longman Dictionaries experience FREE for 30 days. Click here to Register now. 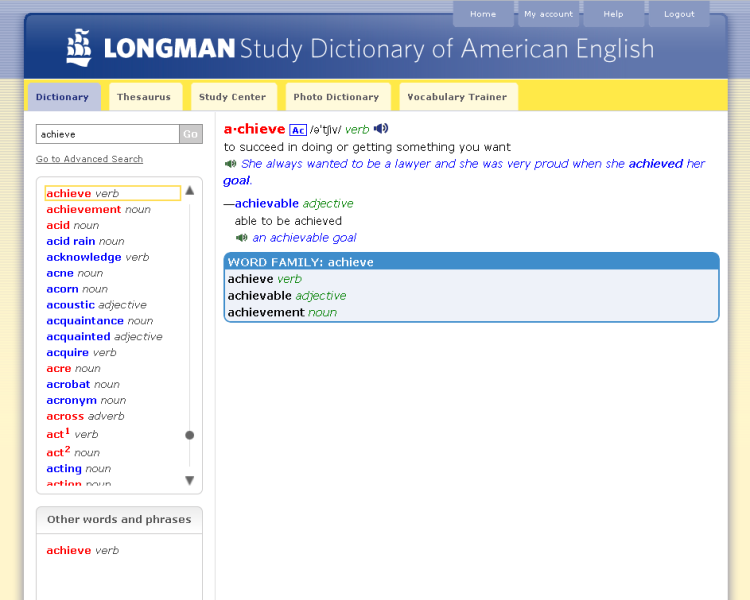 Get mobile with Longman Dictionary of Contemporary English App for your iPhone and iPod Touch. Find out which type of vocabulary is used in the text you are reading and which words you should learn.